By now I'm sure you all know my situation with "Nutella" and for those that don't you can read about it here. Anyway, after a several year fling with "Nutella" it's finally time for me to come "clean." But living completely without him is unthinkable hence the recipe below. Preheat your oven to 350F and line a 9X9" baking pan with parchment paper. Melt butter and dark chocolate together stirring occasionally, until completely combined. Set aside. In a mixing bow, add the eggs and the sugar beat on low to medium speed for 8 to 10 minutes until the mixture is thick, pale and almost tripled in volume. Pour in the melted chocolate and vanilla, mix again until incorporated. Gently fold in the hazelnut meal. Pour the batter into the prepared pan and bake in preheated over for 40 to 45 minutes. Remove from the oven and let cool completely before cutting into bars. These sound delicious! I've never used hazelnut flour before, pinning to try. If loving Nutella is wrong, I don't want to be right. Way to ween yourself. Nice recipe. Hazelnut flour? Cool! I need to find some! I never got into the Nuetella craze, but I do love hazelnuts and would love to try your recipe! Huge Nutella fans around here and how cool that you used hazelnut flour! Before I became sugar free I was addicted to Nutella, i needed a spoonful a day if not two! However I've never tried using hazelnut flour so thanks for the inspiration! These sound scrumptious, I know they'd be a fast favorite in my house! Hazelnut flour sounds like something I need to hunt down. These look amazing. I"ve never worked with hazelnut flour but would love to try. Anything chocolate...anything. Love, love, love. These look great! Love all that butter! I am a big fan of anything with the hazelnut/chocolate mix, so these are sounding awfully tempting to me right now. Oh yum! I love brownies! These sound delicious. Ha! My daughter has a very similar love afffair with Nutella. I have to be sure we are always very well-stocked. She would loooove these brownies! hahaha I also have a love affair with Nutella! haha Love these brownies! OH I love nutella too, so I bet I would really enjoy these! These look so decadent Theresa! Hazelnut just sends them over the top! 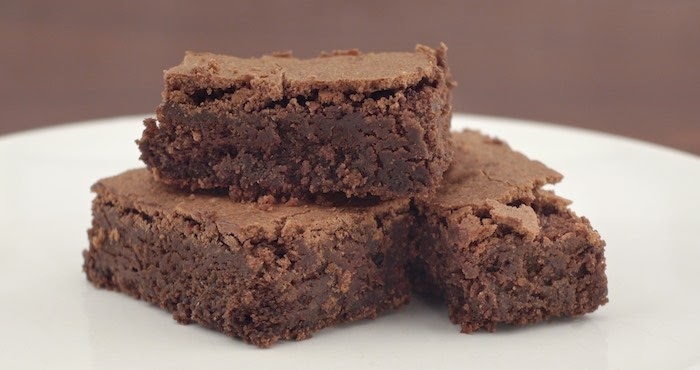 Chocolate and hazelnut is a glorious pairing--especially in brownies! If there is a heaven, for me it will be filled with Nutella. I have a deep dark love for Nutella too so I KNOW I'd love these. I'm a hazelnut fanatic so I'm all over these. I think a double batch is in order. Sounds delicious! There is something intoxicatingly good about Nutella, isn't there? I really want to just devour these. I see a brownie, and I wave the white flag.